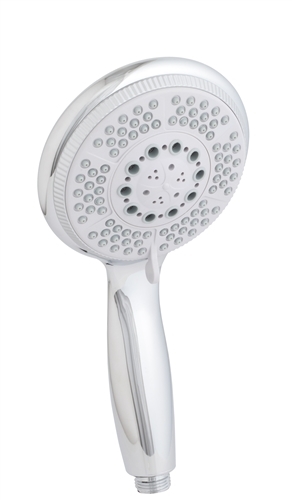 3x adjustable hand shower head. Fits any 1/2" hose. We also offer replacement flex hose in 5' and 6-1/2' lengths (BT052 and BT053). This shower head has 3 adjustable sprays. This does not offer an OFF setting.